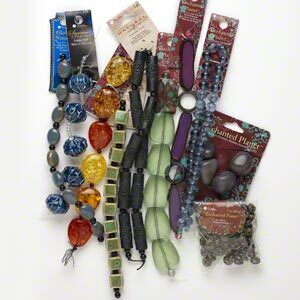 Bead strand, Blue Moon Beads®, mixed materials, colors, sizes and shapes. Sold individually. Package contains one individual item which will be randomly picked from a mix of items. Armed Forces AA, Armed Forces AE, Armed Forces AP, American Samoa, California, Micronesia, Guam, Illinois, Marshall Islands, Minnesota, Mariana Islands, Palau and Virgin Islands. 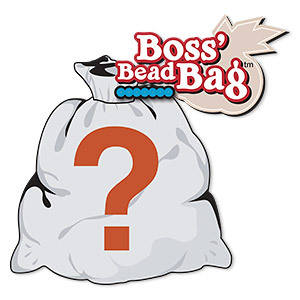 Bead mix, Boss' Bead Bag, 1 pound of great stuff. Sold individually. 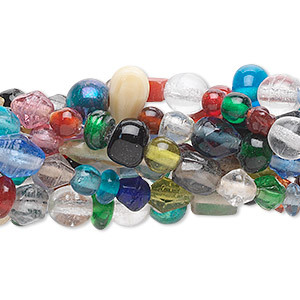 Bead mix, glass, mixed colors, 3-6mm mixed shape. Sold per pkg of (10) 15-1/2" to 16" strands. 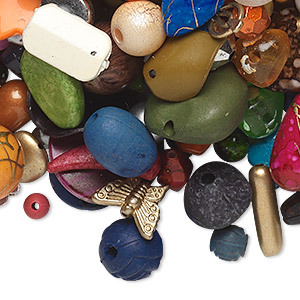 Bead and component mix, acrylic, mixed colors, 4x3mm-53x52mm mixed shapes. Sold per 1/2 pound pkg, approximately 125 to 225 pieces. 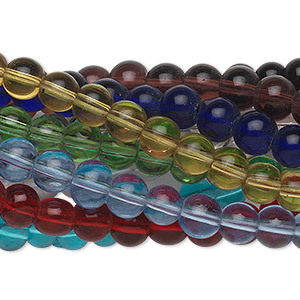 Bead, glass, assorted transparent colors, 4mm round. Sold per pkg of (10) 15-1/2" to 16" strands. 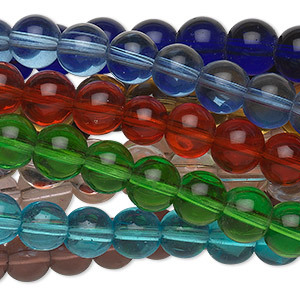 Bead, glass, assorted transparent colors, 6mm round. Sold per pkg of (10) 15-1/2" to 16" strands. 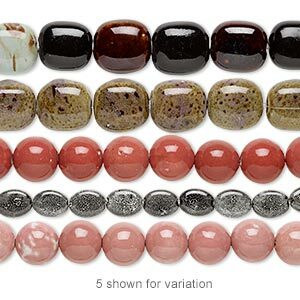 Bead mix, porcelain, multicolored, 16x10mm-42x35mm multi-shape. Sold per pkg of (5) 8-inch strands. Bead, acrylic, mixed colors, 41x24mm puffed flat diamond with swirl. Sold per pkg of 10. 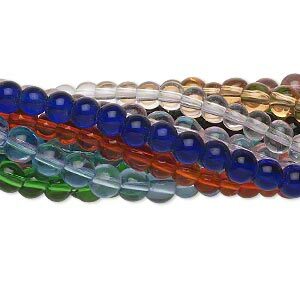 Bead, glass, assorted transparent colors, 8mm round. Sold per pkg of (10) 15-1/2" to 16" strands. 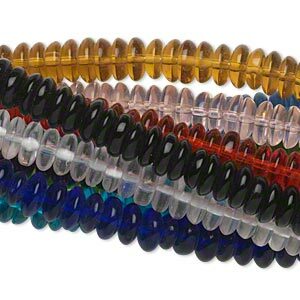 Bead, glass, assorted transparent colors, 8x3mm rondelle. Sold per pkg of (10) 15" to 16" strands. 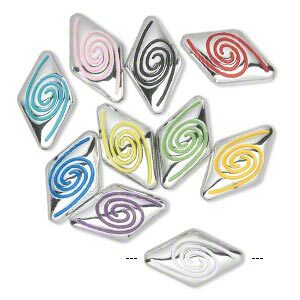 Bead, glass, assorted transparent colors, 8mm bicone. Sold per pkg of (10) 15-1/2" to 16" strands.